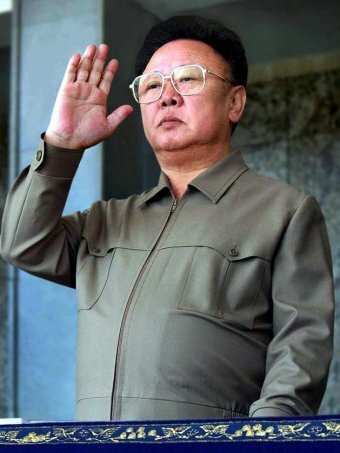 North Korean leader Kim Jong-il has died of a heart attack, a tearful state television announcer dressed in black reported. She said that the 69-year-old "passed away from a great mental and physical strain" while on a train trip, on his way to give "field guidance". The news agency said he died at 8:30am on Saturday (local time) of a "severe myocardial infarction along with a heart attack". An autopsy was performed on Sunday and a funeral is slated for December 28 the agency said. Known at home as "the Dear Leader", Kim took over North Korea in 1994 when his father and founder of the reclusive state Kim Il-sung, known as "the Great Leader", died. The state news agency called on North Koreans to follow Kim's son and designated successor, Kim Jong-un. "All party members, military men and the public should faithfully follow the leadership of comrade Kim Jong-un and protect and further strengthen the unified front of the party, military and the public," state television said. Kim suffered a stroke in August 2008 which left him with impaired movement in his left arm and leg. 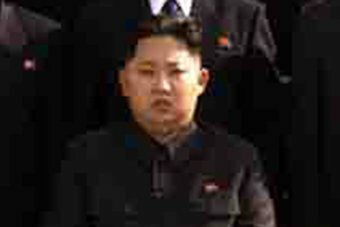 The reclusive state had already begun the process of transferring power to Kim Jong-un, believed to be in his late 20s. Images broadcast on North Korean television showed people crying on the streets of the capital Pyongyang after they heard the news. The North has declared a period of national mourning from December 17 to 29. Meanwhile, South Korea's Yonhap news agency says the South's military has been put on emergency alert. The presidential Blue House has called an emergency National Security Council meeting, Yonhap said. [+6] - Lustig Andrei - 12/19/2011Meet the new boss. Same as the old boss. [+4] - edgarblythe - 12/18/2011I am hoping his successor has a bit more sense, but I doubt it. [+4] - fbaezer - 12/19/2011MsOlga, I believe David has also surpassed the stage of humor. [+4] - fbaezer - 12/19/2011The big drama is that North Koreans don't even have the chance to scape with a drop of humor. [+4] - izzythepush - 12/19/2011[quote="OmSigDAVID"] U r telling me that I don't have a clue about communism ? [/quote] I think it's rather benevolent of Felix to limit it to Communism. What will Kim Jong-il's death mean for North Korea & South Korea? I am hoping his successor has a bit more sense, but I doubt it. I am hoping (perhaps somewhat unrealistically) that the next leader pays a damn sight more attention to the ordinary people of North Korea. Boring, mundane things (compared to the "dear leader's" concerns) like health , enough food in peoples' stomaches. That would make for a very positive change! According to the United Nations, one third of all children under the age of five in North Korea are malnourished, and other countries have become less interested in donating food as the "hermit kingdom" battles efforts to constrain its nuclear program. I hope there's someone comparatively sensible in a position to take over. The world doesn't need more of a mess in North Korea. ....The death of the dictator however, presents a new level of unknowns politically, economically and militarily for the region and the world. Bordering China and Russia and short missile ride to Japan, nuclear-armed North Korea sits at the nexus of global interests. Unrest or disintegration of the regime would have large impacts on its neighbors, especially South Korea. Consider that military analysts figure 300,000 troops would be needed to keep North Korea calm should the regime fall apart. South Korean government financial officials were on high alert, making statements within minutes of the death announcement that that they were monitoring foreign exchange transactions and financial markets, a signal they will intervene if necessary to prevent too much volatility. Kim Jong Il’ death, and the apparent appointment of his 20-something son Kim Jong Un as his successor, opens a new chapter and what it means for South Korea’s economy is unknown. South Korea has prepared for years for the collapse, knowing it will likely cost the South hundreds of billions of dollars to reconstruct the North, should unification ever come into play. just listening to CNN . a commentator states that a succession process is underway , and that one should expect no major changes . he further claims that the military and the party have already had a great deal of influence over the policies announced by " the dear leader " . the commentator compares the north-korean government to some of the islamic governments . he cautions the west NOT to over-react and perhaps further isolate north-korea . I think that the dynasty was greatly weakened when they changed the currency dec 09. That effort was aimed at hurting speculators but mostly what it did was rub out decades of savings by regular people, as they were only allowed to convert $40 worth of old currency into new. The end result was the leadership breaking faith with the people. Plus the kid is rumored to be an idiot. I am seriously worried about how this goes long term. Young and inexperienced, Kim Jong-un is seen as poised to take over North Korea with the death of his father, and extend the Kim dynasty's rule over the reclusive state for a third generation. Not much is known about the younger Kim - not even his age. But his father Kim Jong-il and his autocratic regime had begun making preparations for the son's transition to power. North Korean television has announced the death of Kim Jong-il, who has led the communist nation since the death of his father in 1994. His designated successor is believed to be his third son, Kim Jong-un, who is thought to be in his late 20s. The BBC's James Robbins reports. I hope that there will be no "next leader" in the sense and tradition of the uncrowned dynasty created by Kim Ill Sung - in the grotesque fiction that they (and their party apparatus) somehow represent the will of the people. The people of North Korea need real freedom (not the attention of a benign despot) and the ability to direct their own lives. That will solve their economic problems as well. Sadly the successor has already been named and, barring a palace coup, is likely to follow in the established tradition as Edgar suggested. I doubt anyone here would disagree with that, George. An idiot? Kind of like Dubyah? The news over here for the past year about Baby Kim has been about how he was quickly promoted to 4-star general and so forth, despite having no experience in military or just about any other type of leadership. There was also an unverified report that he personally ordered the shelling of Yeongpyeong Island last year as a show of strength to the military brass. I don't think he'll have real free reign for a little while yet. If he really does have some sort of reform in mind, I doubt it will show for a while yet. Maybe in a year, but that's just a guess. Who can guess what goes on behind closed doors on the other side of the DMZ? What is it that South Korea & Japan are fearing could now happen? A show of military strength from the new North Korean leader against South Korea? With the support of the Chinese & Russian governments? How likely is that, do you think? ....South Korean president Lee Myung-bak has called for calm and placed the military on emergency alert. "President Lee urged the public to go about their usual economic activities without turbulence," a senior presidential official told a televised news conference. Foreign ministry spokesman Chung Min Lee says South Korea is not looking for a fight with its northern neighbour. "We also want to send a very strong signal to the Chinese and the Russians that none of us here in South Korea want to exploit this particular situation," he said. thanks. I thought that it fit.